School Board Member Dr. Dorothy Bendross-Mindingall (D-2) was honored to recognize our 2016-17 Assistant Principal of the Year Ms. Cisely Scott at the monthly School Board Meeting. Assistant Principal Scott was commended for her outstanding work in educating our students at Lenora B. Smith Elementary School. 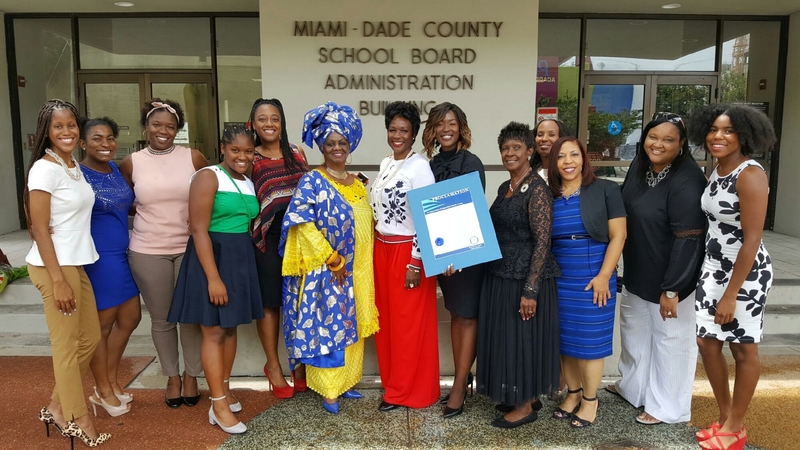 Thanks to Principal Shawntai Dalton, family and friends for supporting our wonderful education leader.